Tourists to Belize are drawn by the lure of the mystical Mayan Ruins, and for the marvelous scuba diving sites that are arguably some of the best in the entire world, not to mention a wide array of eco-friendly tours and the golden Caribbean sands. A lot of travelers to Belize come to experience scuba diving in the Blue Hole, an UNESCO World Heritage Site and a formation that can be seen from space. It is a huge 1000 foot wide ‘hole’ that is 412 feet deep and home to various marine life, tunnels, caves and stalactites as it used to be a cave before the waters filled it in and caused the roof to collapse inside. 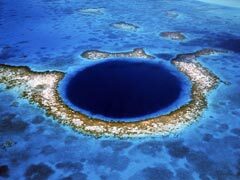 The Blue Hole is a National Monument and one of the most famous diving holes in the world. Laughing Bird Caye National Park is a shelf atoll and makes for a great place to dive and snorkel amid the colorful fish and corals while Silk Caye has the world’s largest population of whale sharks which snorkelers and divers can swim with as they drift around in the warm waters. 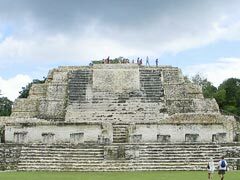 Belize tourism is also known for its plethora of Mayan Ruins that are scattered throughout the country. Arguably the most well-known are the ruins of Altun Ha. The ruins can be explored on horseback, through walking tours and by cave tubing and visitors can see Mayan temples, pottery, skeletal remains, tall palaces and ceremonial centers, not to mention caves and tunnels that were once part of the thriving people’s lives long ago. Cave Tubing is one of the more interesting ways to explore the Mayan ruins as you float in rubber tubes through large caves where Mayan artifacts are on display, you can also see monkeys, iguanas, crystal formations, limestone and many other interesting things as you make your way down the river. Exploring caves on foot may thrill some travelers to Belize and with thousands of caves it is a new experience every time. You don’t have to be an expert spelunker to navigate the underground network, and many interesting things await like underground waterfalls, pottery pieces and many beautiful formations of stalagmites and stalactites. Belize boasts the largest barrier reef in the Northern Hemisphere as well as three coral atolls that allow for multitudes of scuba and snorkeling opportunities. The reef itself is 185 miles long and allows for Belize’s numerous islands to enjoy calm waters as well as a magnificent undersea world. Belize offers some touristy things on land too like the Belize Museum, with its stamp room and numerous insect displays. There is also a Mayan historical display and the old jail and gallows that were used centuries ago. Horseback riding is also a great way to see the diversity of the country as tours are available that take you through savannahs, the rainforest, jungles, to see Mayan sites or through flatter farmland. Taking a horse tour allows you to get to places a lot more easily than walking and to more out of the way locales than you can on other types of tours. Those travelers to Belize who enjoy boating will not be disappointed. There are plenty of sailing opportunities amid the stiff winds and the strong currents of the area, and for those wanting a more leisurely tour, there are kayak tours. Choose to kayak near the reef to look for dolphins, rays and a myriad of fish species, or choose to kayak in the mangrove regions to see colorful birds and the elusive seahorse. Fishing is also an excellent pastime in Belize as it is a mecca for fishing of all kinds. Sport fishing spots are expansive, as are fly fishing rivers and spin fishing locations. For those travelers to Belize who don’t dive, but do snorkel, Shark Ray Alley is a beautiful spot to take up your sport as it is an area with gentle nurse sharks and rays that glide effortlessly about. The hard and soft coral, sponges and fish make this a unique area to snorkel, whether this is your first time or you’ve been snorkeling your whole life. While Belize tourism does have a lot to do in and around the water, they also have a Baboon Sanctuary a relatively new addition to the activities in the country that lies just 30 miles west of Belize City. It is a refuge and home to black howler monkeys and is working to keep them safely in their environment. Stann Creek is a cultural and adventure destination for those who love viewing the Maya Mountains and who enjoy glorious golden sand beaches. 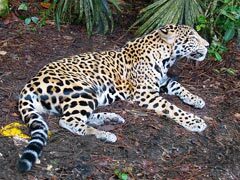 There is also a jaguar sanctuary for these jungle cats while offering tourists a reef and rainforest mix that shouldn’t be missed. Belize offers tourists the chance to be one with nature, both on land and in the warm ocean waters. For eco-tours and prime diving spots, Belize is just a dream away.